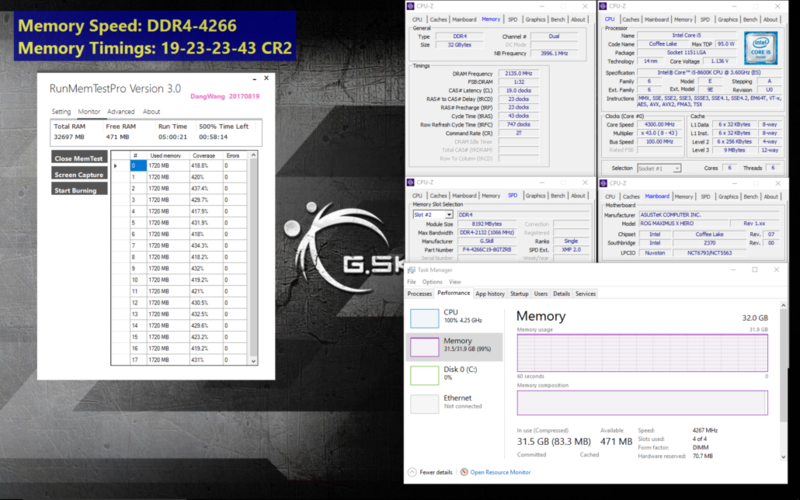 If you thought DDR4 memory kits couldn’t get any faster, you were wrong. A few days ago, G.Skill announced new Trident Z series memory kits that offered blistering fast speeds and larger DRAM capacities. This week, G.Skill announces to take the speeds of their high capacity memory even further. G.Skill has mentioned that the latest 32 GB Trident Z RGB memory kit is fitted with the ultra-high performance Samsung B-die DDR4 ICs which means performance is going to be great and over-clocking would be a breeze. The latest memory kit is designed specifically for Intel’s 8th gen core family codenamed “Coffee Lake”. Talking about the memory kit itself, it is composed of four 8 GB sticks that operate at DDR4-4266 MHz with timings of CL19-23-23-43 and a voltage of 1.4V. The kits will deliver high speeds along with a good chunk of DRAM size for everyday PC intensive tasks. For users who love overclock, these chips can be further tuned for higher performance. The G.Skill Trident Z RGB 32 GB (4266 MHz) kit is expected to hit retail market in December 2017. Taipei, Taiwan (13 October 2017) – G.SKILL International Enterprise Co., Ltd., the world’s leading manufacturer of extreme performance memory and gaming peripherals, is very excited to announce the latest Trident Z RGB memory kit that boosts RGB-infused DDR4-4266MHz memory kits to a never-before-seen 32GB (4x8GB) configuration! Built from ultra-high performance Samsung B-die DDR4 ICs, this new DDR4 memory kit marks a new milestone as the fastest 32GB (4x8GB) RGB memory kit on the market thus far. 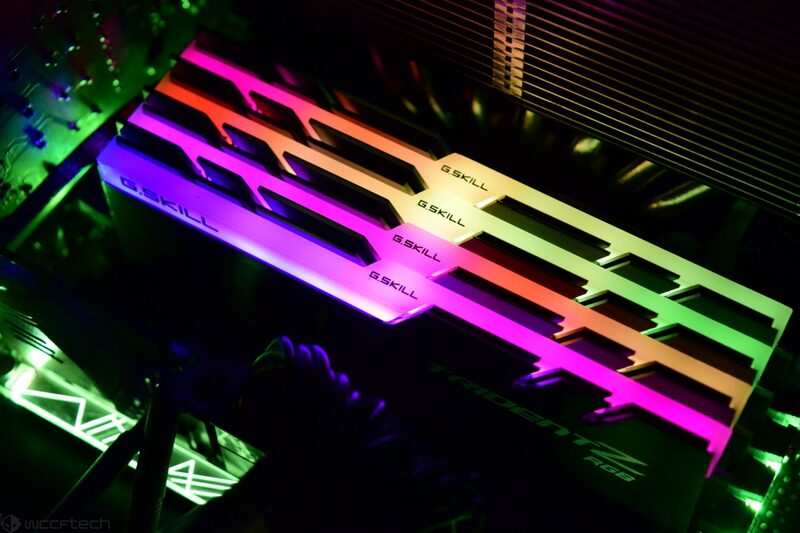 Just one week after the launch of the 8th Gen Intel Core processors and Z370 chipset motherboards, G.SKILL further fine-tuned the high-end RGB memory kits to reach even higher levels of overclocking speeds. Ever since the launch of Trident Z RGB almost a year ago, the largest capacity at DDR4-4266MHz was 2x8GB. In combination with the ASUS OptiMem technology, which complements the T-Toplogy layout that uses equalized trace lengths, four-DIMM memory configurations have improved stability and increased frequency headroom. 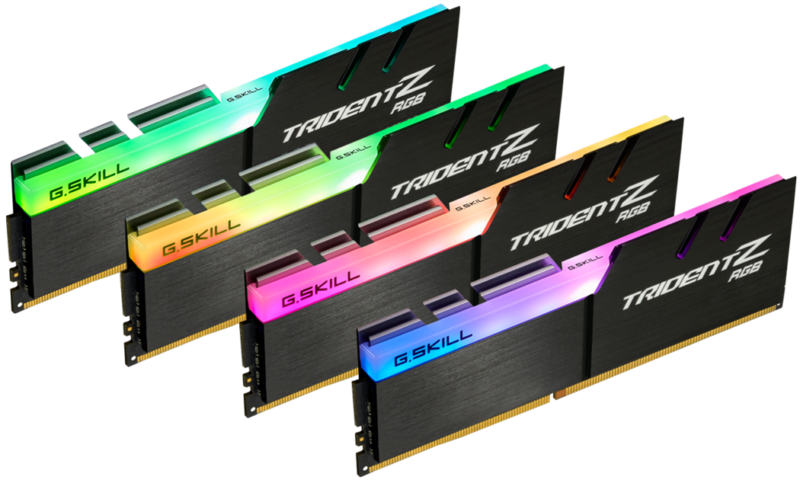 With the availability of this new optimization, G.SKILL is doubling the Trident Z RGB kit capacity to operate at DDR4-4266MHz CL19-23-23-43 32GB (4x8GB) at 1.4V. Below is a screenshot of the memory kit stress tested on an ASUS ROG MAXIMUS X HERO (WI-FI AC) motherboard and the Intel® Core™ i5-8600K processor.